Vinyl siding Installation | Is vinyl siding right for your project? 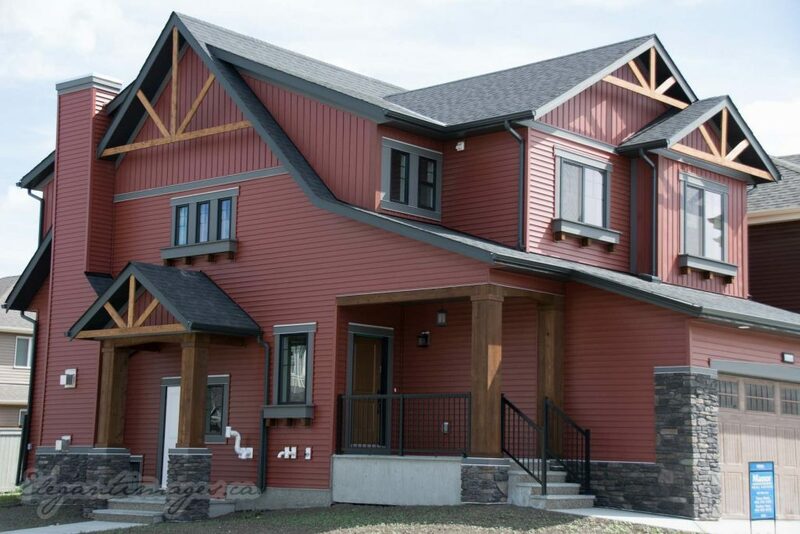 Vinyl siding is the most commonly installed exterior cladding for residential construction in Canada. It is made up of approximately 80 % pvc resin. The other 20 % is chemicals that make up for the colour and Duribilty. Vinyl siding was introduced to the siding market in the late 1950s as a replacement for aluminum siding. Give Viklund Contracting a call for a free no pressure Quote today and to discuss your options. 5 Steps To Simplifying Your Exterior Siding Project. hiltonp331 on Seamless Gutters and Eavestrough Cost calculator. For all your exterior siding, vinyl siding and hardie siding projects. Serving Didsbury, Sundre, Olds, Carstairs, Cremona, Watervalley, Cochrane, and Airdrie.